Indeed, a fragrance can tell you a lot about a person–and even their mood! This is where Oo La Lab comes in. Established in 2016, this fragrance lab allows you to customise your fragrance with the finest raw ingredients. Choose from popular formulas or work with a mixologist on-site to create your own signature scent. You can even try customising one for your friends and loved ones! With its chic black and white packaging, we think it will make the perfect gift! The word “oo la” stands for emotion in Oo La Lab’s Fragrance Table. 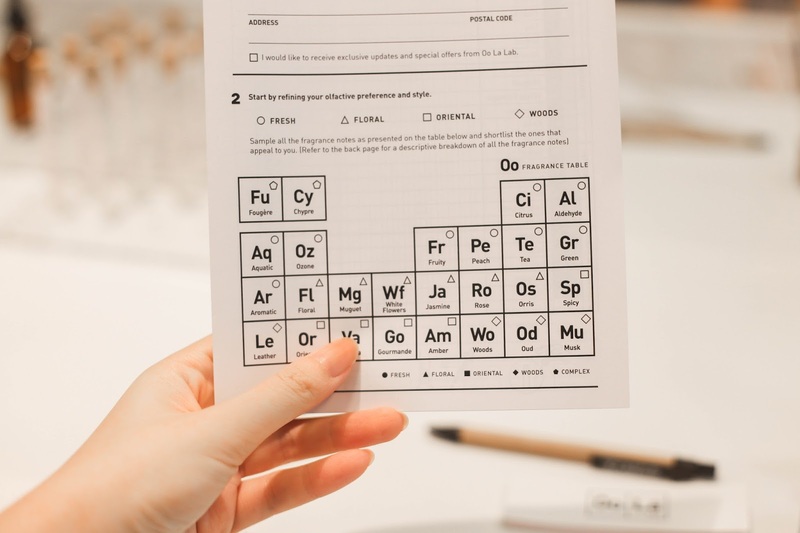 Each fragrance from the lab corresponds to an element on the table. Organised by top notes (first two rows), middle notes (third row) and base notes (bottom row), clients get to visualise how different scent families and ingredients can complement each other. 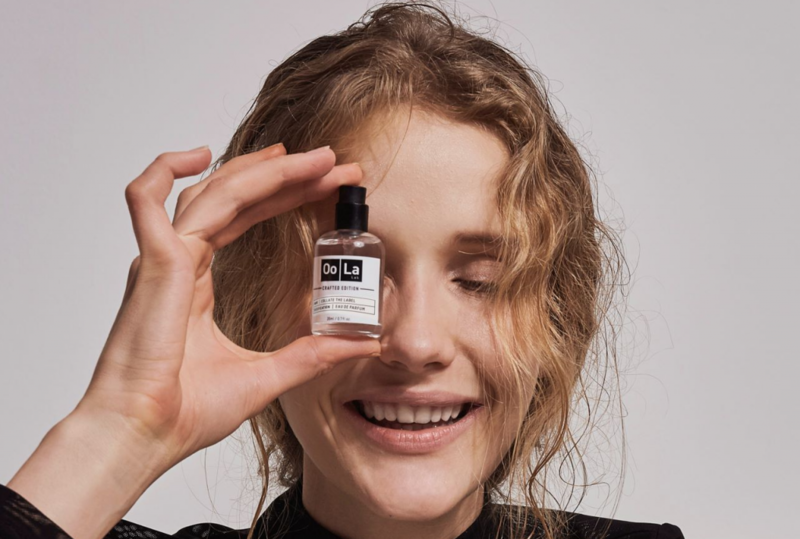 Aside from using the best ingredients, Oo La Lab also prides itself in hand-pouring their fragrances and working in small batches. Staff at the Lab also prepare the fragrances on-site and in front of customers so you can watch the making of your own fragrance. Prices for a custom-made fragrance starts from SGD$48. For those of you who would prefer to pick Oo La Lab’s existing fragrances, you will be pleased to know that Oo La Lab has a wide range of Eau De Parfums, crafted perfumes as well as limited edition fragrances such as the Laneway Limited Edition. Aside from fragrances, the Lab also sells reed diffusers, room sprays and soy candles so your home can smell amazing too!